A great 1x12 cab to complement your VT Bass 500 head. 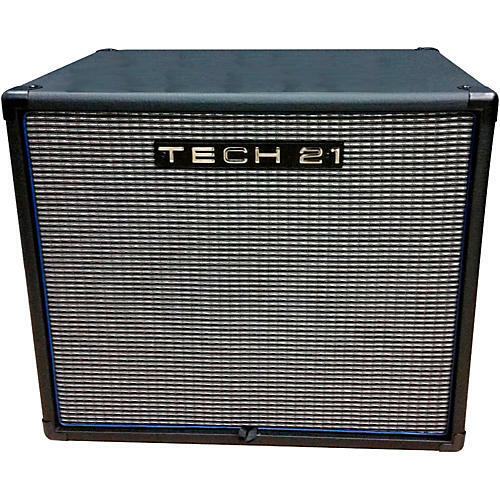 The Tech 21 VT 300W 1x12 bass cabinet is the perfect complement to your VT Bass 500 head, or any other bass amp. Loaded with a single custom 12 in. driver rated at 300W, 1/4 in. and Speakon inputs, sturdy metal handles and weighing just 38 lbs., the VT 1x12 is a fantastic option for rehearsals, gigs and practice. Dimensions: 20 in. x 17.5 in. x 15 in.